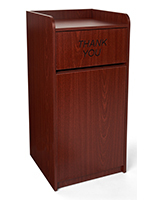 Designed with versatility in mind, this waste cabinet will blend in with any style. 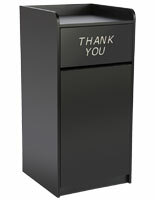 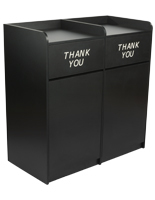 These trash containers offer plenty of space with their double sided design. 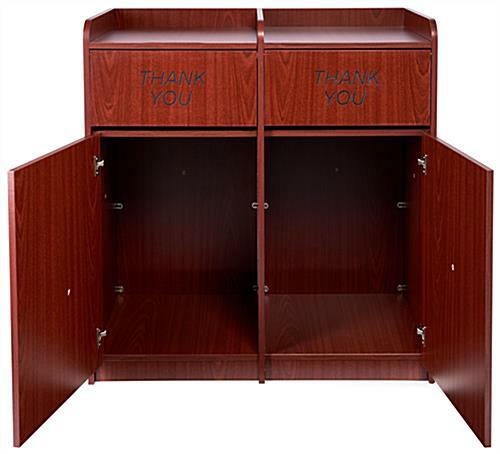 The mahogany cabinet can hold two 36 gallon liners. 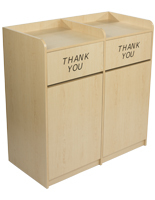 These trash containers feature a spacious shelf on each side to collect trays and dishes. 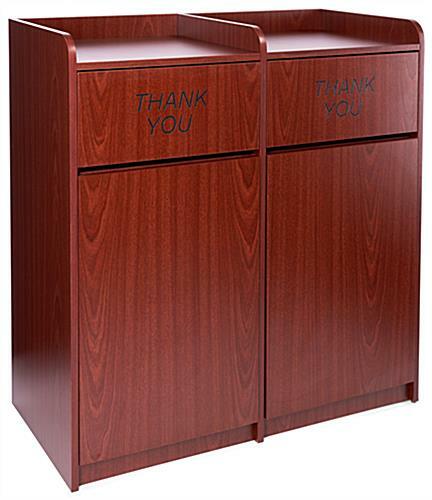 Rubbish is placed into the liner by pushing on a small swinging door that is attached to the top of the cabinet. 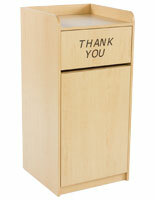 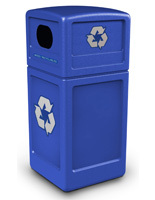 The double doors open from the center making it easy to maneuver the trash bins when it is time to empty the receptacle. 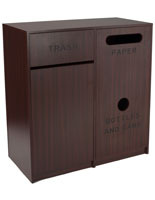 44.8" x 46.4" x 22.1"